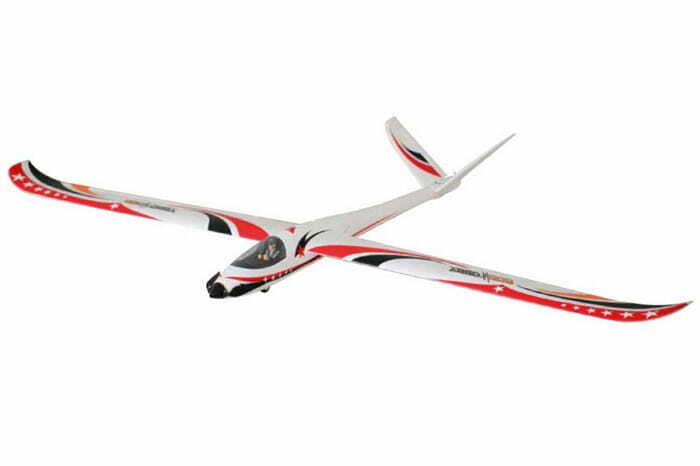 Roc Hobby V-Tail ARTF 2200mm Glider w/o TX/RX/Battery. This is the best looking glider out there. 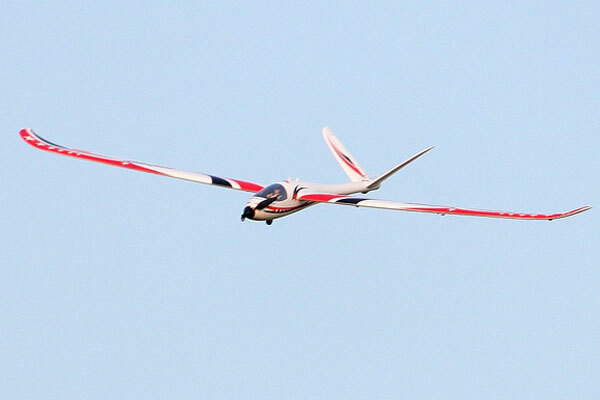 Not only is this powered glider great looking but it is super easy to keep it in the air with the included flaps and ailerons. Long flight times are easily achievable. Unlike some of the popular gliders out there, there are two easily removable pins holding the wings to the fuselage so they will not dislodge during flight but yet they can be easily removed for transport. The V-tail glider is built with EPO foam construction and includes carbon rods molded in for maximum strength and durability. The glider is very simple to assemble so you can be in the air in about 60 minutes. Please Note: This kit is sold in ARTF format and requires radio gear, 11.1v 1300mAh 25C Li-Po battery with charger, and AA batteries.